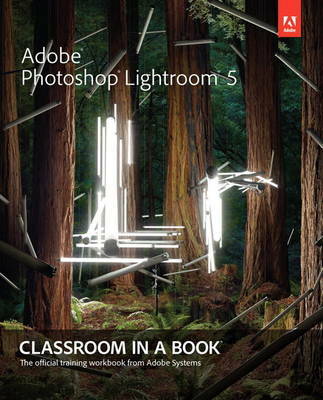 Serious digital photographers, amateur or pro, who seek the fastest, easiest, most comprehensive way to learn Adobe Photoshop Lightroom 5 choose Adobe Photoshop Lightroom 5 Classroom in a Book from the Adobe Creative Team at Adobe Press. The 11 project-based lessons in this book show readers step-by-step the key techniques for working in Photoshop Lightroom 5. And brand-new to this edition is a showcase of extraordinary images by working professional photographers that provides the perfect inspiration. Photoshop Lightroom 5 delivers a complete workflow solution for the digital photographer, from powerful one-click adjustments to a full range of cutting-edge advanced controls. Readers learn how to manage large volumes of digital photographs, work in a non-destructive environment to allow for fearless experimentation, and perform sophisticated image processing tasks to easily produce good-looking pictures and polished presentations for both web and print. This completely revised Photoshop Lightroom 5 edition explains how to fix tilted images and unwanted flaws in one step, and how to create off-center and multiple vignettes within a single image. Learn how to utilize new Smart Previews so you can work on images without bringing your entire library with you. You'll also learn how to combine still images, video clips, and music into video slide shows that can be viewed on almost any device.